Super Deformed Gundam or SD Gundam originated from a contributed illustration of a junior high school student from Nagoya by the name of Koji Yokoi to the "Model News" magazine that Bandai was issuing in the 1980's. The illustration is of a Gundam but with the weird proportion where the overall height of the Gundam is equal to 2 of its head. This illustration interested the chief editor and so leading to Koji Yokoi serializing SD Gundam in 4 frame comics in "Model News". The super deformed design was suitable for capsule toys and so SD Gundam started merchandising with the Gashapon series "SD Gundam World" in 1985. By the 90s SD Gundam spawned many spin-off series, SD Sengokuden (SD Warring States, Musha Style), SD Gundam Gaiden (Knight Style) and SD Commando Chronicles (Military Style) to name a few. 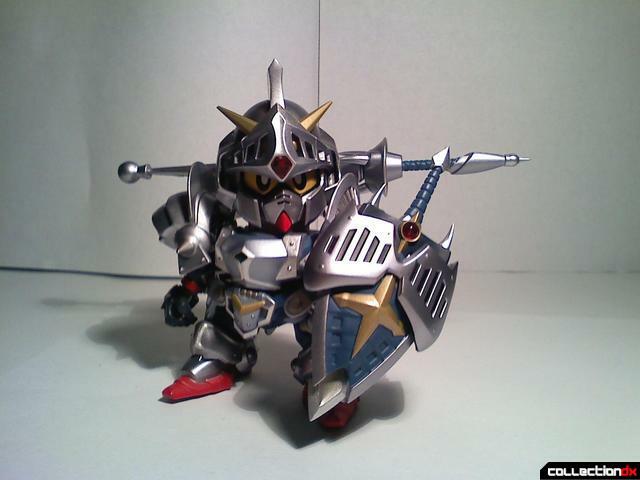 With its popularity, SD Gundam merchandise expanded to include manga, trading cards, anime and video games.